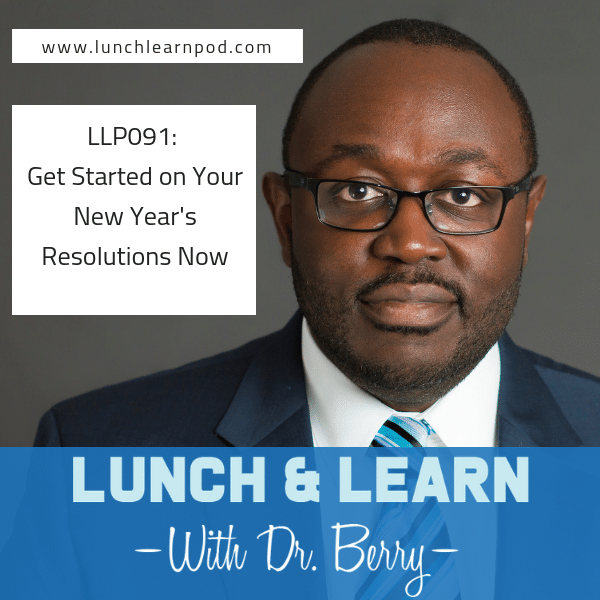 On this week's episode of the Lunch and Learn with Dr. Berry we are talking about new years resolutions. That's right, it's that time of the year where we all look back at how the year went, see what could have been better and proclaim to the world (really just ourselves most of the time) that we are going to make the necessary changes to make the upcoming year a special one. On today's show we are going to get into all of the different kinds of New Years Resolutions I have heard over the years, the reasons why starting early on them is always better than later and most importantly how to attack those health related goals for the new year. You also get a chance to hear what my new some of my new years goals are (hint if you picked up my last ebook The Power in Affirmation than you'll already know what some of them are.